Digital release of “Beautiful Imperfection” tomorrow ! 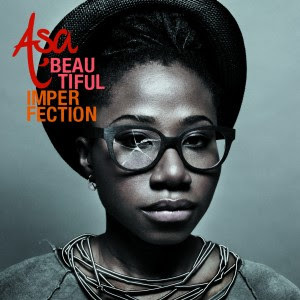 It is now official : Asa’s new album “Beautiful Imperfection” will be premiered in France, Belgium and Switzerland on iTunes from tomorrow (Friday October 15th). Then the CD will be released in Europe from Friday October 25th. “With new found confidence” ; this is how Asa described this new album, that sounds much more pop and “uplifting” than the first one – even if it also happens to sound dreamy. Besides, Asa played some of her brand new tracks during an environmentalist event in front of the town hall of Paris last Sunday, and the audience welcomed it warmly. We hope you will too – by the way, you can stream three exclusive pre-released tracks if you subscribe to Asa’s newsletter.